In which I confess I no longer fight my inability to stomach really, really, really long books. What a terrible confession to make, but it’s true. 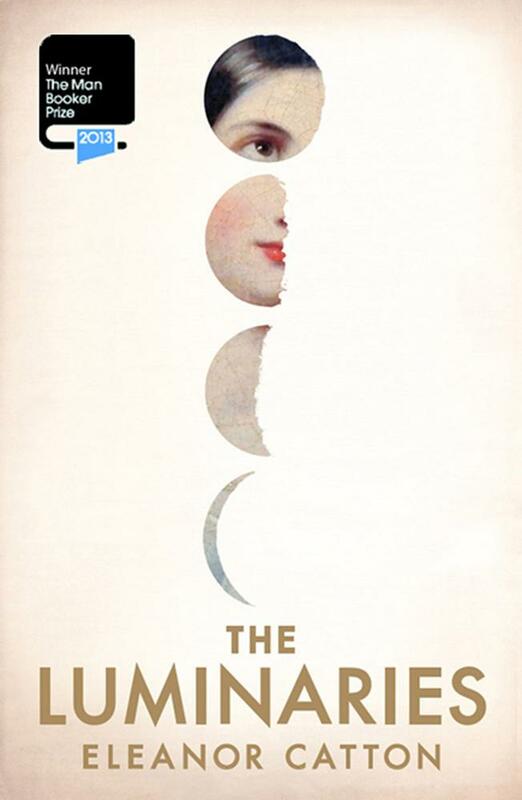 The first time I saw a copy of the award-winning, critically acclaimed novel The Luminaries by Eleanor Catton, I knew in my heart I would never read it. It has received rave reviews and triumphantly won the 2013 Man Booker Prize, the longest book by the youngest author ever to do so. But told over the course of 832 pages, let’s face it, it is not merely a brick-sized book, it is a slab of concrete one could entertain on, much like a patio. I have nothing against this book or its author. I wish Catton all the very best in the whole entire world and I am glad for all the joy this acclaimed book has given its readers. It is clearly a staggering work deserving to be read. But I am not going there. I now respectfully decline the commitment to mammoth books much more readily than I used to. I felt ashamed that, at the sight of some hefty, complex publication, instead of excited anticipation, I would feel myself starting to perspire with anxiety. I have had brick-sized books sitting for years on my shelves waiting to be read, waiting for my pathetic anxieties to pass so that they may share their wondrousness with me (Jonathan Strange & Mr Norrell, anyone? ), and yet I continue to decline. And do you know what else? I am not the only one. Far from it. Yes, there are so many of us out there, drawn to buying those paperback slabs that look so lovely and solid and intelligent on the shelf. We buy the promise, the fantasy, the hope for a better self, a committed, courageous self. But take a closer look. Is that spine still intact? Has anyone ever actually picked that book up since putting it down? Does it still have the receipt inside? It takes some real spirit to get through a brick and mean it. I do not judge those of us who fail. I am one of you. For me, there is no shame anymore in turning away from those brick-sized tomes. Unless the font is nice and big, I’m basically not going anywhere near anything that gets above the 350 page mark. It is not because I am some soulless wraith who cannot experience the wonder and thrill of getting completely lost in a good book. It’s because of time. And sanity. This interesting article by Sam Baker in the UK’s Telegraph argues the short story’s place in our new digital age where time and work pressure us from all angles (incidentally, it also offers a great list of short story writers to check out). I’ve certainly noticed the distinct shift in how people (and the media) view short stories over the last couple of years myself. They seem to be more acceptable now, more literary. Personally, I love the short story form, both as a reader and as a writer. We have some wonderful independent short fiction publishers here in Australia, and their popularity does at least on the surface seem to be growing. In fact the good people at Sleepers in Melbourne put out a great app for the iPhone that brings together a huge selection of stories from their Almanacs for easy reading on your mobile. I’ve enjoyed the app’s offerings in exactly the way Baker sees short stories fitting into our modern lives — as bite-sized chunks of entertainment consumed on public transport between the rest of our pushy lives. I don’t want to simplify my feelings by suggesting it is time alone that stops me from picking up a big book. It is much more than that — the issue is as much about feeling overwhelmed by the deluge of stories out there as it is about feeling increasingly time-poor. I don’t know about you, but I struggle through the process of choice — there is so much AMAZING to choose from — and so the choices I now make are more ordered, processed, planned. I’m not the bright-eyed, bushy-tailed consumer I once was, happily walking into a bookstore to fork over my dollars to pick up something I’d never heard of before. Now I feel the need to curate my reading (indeed, curate most of my entertainment, my life) just to help alleviate the dread of being swamped in a sea of it all. It is one of the worst feelings, that dread. The drowning sensation that can take you over if you let it, as you hear more and more about all the wonderful stories out there you’re missing, yet you actually read less and less of any of them. Like water rushing around to envelop a body that cannon-balls into a pool and sinks right down to the bottom, it can sometimes feel as though life is eating you up whole. Over the last few months, I’ve had a craving for a good old-fashioned novella. Beyond short stories, this other underrated form seems to have collapsed into obscurity, but I hope very much it makes a comeback. Again it’s not that I want to disparage good, regular sized novels at all — and I certainly don’t want to give the impression that I’ve given up on those, I haven’t — it’s just so nice to read a complete yet tightly spun story that doesn’t take you months to finish. Novellas also seem, to me at least, like the right size for a lot of stories. They take how long they take to tell, knowing when they’ve come to an end and not feeling obligated to carry on further for no other reason than just to say more. They are enough. And there’s little chance they’ll overstay their welcome either. Brevity is not an easy art form, so I will always give it my respect. But to you brick-sized books: I cannot lie. I am all but done with you. I think you’re buying the wrong bricks. I also think you are bringing baggage to your bricks which only serves to make the bricks heavier. Have you tried Harlequien Mills & Boon? They have many wonderful titles, and if you read them on an ebook you can tell people you’re reading ‘The Luminaries’. They won’t have read it either so there’s no chance they’ll catch you out. A Suitable Boy. I still believe that one day, one day, one day in the most distant distance, I may attempt this again. Pingback: View From The Top (Of The Book Pile) #3 | like stories? we should talk.